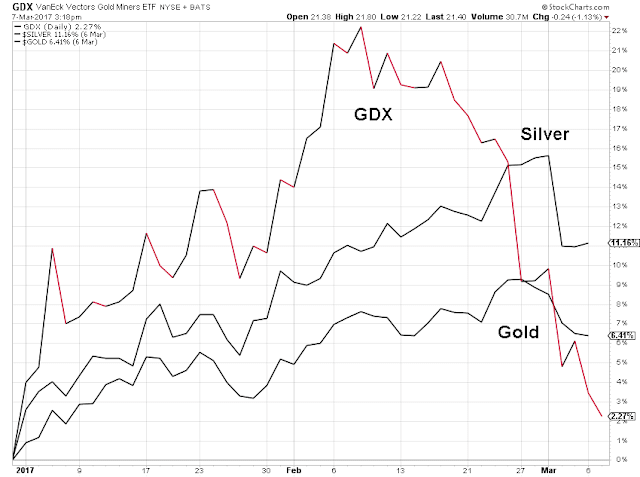 For those of you who wondered why there was such concentrated selling in the mining stocks a few weeks ago, perhaps this latest bear raid on the precious metals provides an adequate explanation. See the second chart below. As a reminder, Non-Farm Payrolls this week, and the FOMC the next.